Based on policies supported by the majority party in the General Assembly, the State is spending general funds – money raised by income taxes, sales taxes, and other non-dedicated sources of revenue – at a rate of between $37.4 billion and $38.2 billion per year. Many policymakers, headed by Governor Bruce Rauner, are asking the General Assembly to look at the underlying policies that generate this level of spending. Illinois House meets, again fails to take budget action. 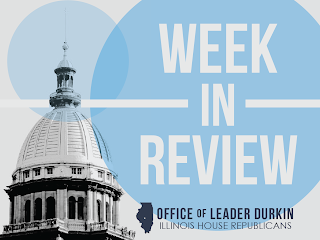 The summer session day of the Illinois General Assembly was held on Tuesday, August 25. Although this was the 14th such House summer session day called by the House Speaker since the “adjournment” of the state legislature on May 31st, no workable State budget has been produced and the Speaker’s leadership team did no work this week to generate one. In its session on the 25th, the House heard from witnesses who described growing challenges to them based on the failure of the State to set aside funds for roads and street repair, child care services and other essential public infrastructure and programs. New law forbids health care hospitals, providers from billing sexual assault survivors for outpatient services. HB 3848 was signed into law on Monday, August 24. It creates a billing protocol and a voucher system for hospital emergency and forensic outpatient services provided to sexual assault survivors. Under this system, these outpatient services will be billed to the State of Illinois or to the survivor’s insurance system, if any. Additional language within HB 3848 forbids a provider of health care services to a sexual assault survivor from carrying out certain enumerated aggressive billing and collection procedures for all other non-outpatient services that may have been provided to a survivor, including inpatient services and follow-up healthcare. Prohibited collection procedures include references to collection agencies or attorneys. House Republican Representative Patti Bellock was a co-sponsor of HB 3848, which was approved in the Illinois House by a vote of 111-0-0. Study shows state programs effective at reducing distribution, supply of opioid drugs. Laws aimed at reducing patient overuse and street supply of opium-based painkillers are being enacted by Illinois and other U.S. states nationwide. A new study by the Journal of the American Medical Association (JAMA), which tracked a package of similar laws and policy changes in Florida, found that the new rules had significantly decreased the use of the opium-aligned prescription drugs Vicodin and oxycodone (‘OxyContin’). Overuse of drugs such as Oxycontin is implicated in poor health outcomes for many patients, such as increase tolerance of opium-based pain management and, in some cases, addiction of the patient to opium-based painkillers. State laws are oriented towards making the prescription and dispensing of opium-based medications more cumbersome, discouraging opium-based pill overuse and encouraging patients to seek alternative pathways toward pan management. The Journal of the American Medical Association/Florida study was reported by the Miami Herald on Saturday, August 15, 2015. The supply of opioid medications dispensed by licensed Illinois pharmacists is limited and monitored by the Illinois Prescription Monitoring Program, a program of the Department of Human Services (DHS). Department of Employment Security (IDES) announces drop in Illinois’ July jobless rate. The key number dropped to 5.8% in July 2015, down from 5.9% in June 2015 and substantially down from the year-earlier rate of 6.7% in July 2014. However, Illinois unemployment rates remained substantially higher than the nationwide total in July. The overall U.S. jobless number was 5.3% in July. The new numbers were released on Thursday, August 20. “Since the beginning of this year,” reported IDES director Jeff Mays, “Illinois has gained only a quarter of the job growth seen by the rest of the country.” Based upon current trend lines and slow private sector re-hiring patterns, Illinois should complete its task of recovering from jobs lost in the 2008-09 economic downturn on or about September 2016 – seven years after the official end of the downturn. IDES tracks jobless rates, operates a workforce-based website that matches jobs to applicants and operates the State’s unemployment insurance program. Other U.S. states, including Midwestern states such as Indiana and Iowa, have rapidly added jobs during the 2009-15 recovery and enjoy unemployment rates much lower than Illinois. The federal Bureau of Labor Statistics reports that for July 2015, the unemployment rate was 4.7% in Indiana, 3.8% in Iowa, 5.2% in Kentucky and 4.6% in Wisconsin. Caterpillar will lay off 300 in Peoria area. The announcement made on Tuesday, August 25, was part of an overall cutback of 475 customer service managers and support staff. The Peoria-based global machinery manufacturer stated that the layoffs, which would be carried out as part of a program to consolidate customer service responsibilities, would be implemented over a period of several months. Caterpillar’s announcement closely followed reports of a significant economic downturn in China. The sale of construction equipment and mining/quarrying machinery to Asian customers had been a bright spot in Caterpillar’s overall business picture, and Wall Street commentators suggested this week that the Chinese stock market crash could reduce demand for Caterpillar products and services. Academic Ranking of World Universities honors Chicago, Illinois and Northwestern for STEM-related excellence. The China-based international ranking consortium, which grades institutions of higher education on all six inhabited continents, ranked the University of Chicago 15th, Northwestern University 23rd and the University of Illinois at Urbana-Champaign 38th worldwide based upon metrics published as of 2014. Rankings were based on the status of these universities in core STEM disciplines (natural sciences and mathematics). The three Illinois-based universities outranked well-known institutions such as Duke and New York University. Rankings were based on alumni status and on awards, such as Nobel prizes, granted to instructors and faculty. California, whose Berkeley flagship campus led the list, and Illinois were the only U.S. states with three ranked institutions in the top 40. The full ratings table, known as the “Shanghai Ranking,” can be found HERE. Newly-appointed Adjutant General Richard J. Hayes, Jr. honored for Katrina service. Governor Rauner, as commander-in-chief of the Illinois National Guard, promoted Hayes to major general on Monday, August 24. Hayes and his second-in-command, Brig. Gen. Michael Zerbonia, are the uniformed operational commanders of the Illinois National Guard, responsible for the Guard’s service from disaster scenes at home to combat service overseas. The Illinois Army National Guard and Air National Guard, two separate services, operate in close coordination with the Pentagon to maintain America’s defense readiness and its ability to respond to events in Illinois and its sister states. With his promotion in rank, Hayes was honored in a mark of the tenth anniversary of his service in Louisiana during the recovery efforts following the landfall of Hurricane Katrina on August 29, 2005. News of the severe tropical hurricane, which devastated New Orleans and surrounding communities, was swiftly followed by a massive response by uniformed relief providers from across the 48 contiguous U.S. states. Hayes led a battalion-scale relief task force that helped keep the peace during the aftermath of the storm and flooding. Illinois House committee discusses bill that could open the door to municipal debt relief. Current State and federal laws allow individuals and private-sector firms to seek relief from their debts through U.S. bankruptcy court; but Illinois public-sector entities, such as municipalities, are not allowed to file under Chapter 9. Debt-strapped municipalities in other states, most notably Detroit, Michigan, have used state and federal laws to reorganize their operations, reduce their debts and provide incentives to new residents. Many taxpayers and even some municipal leaders would like Illinois law to grant the option of bankruptcy to Illinois local governments as a last resort. HB 4214, sponsored by House Republican Ron Sandack, is an Illinois municipal bankruptcy bill. 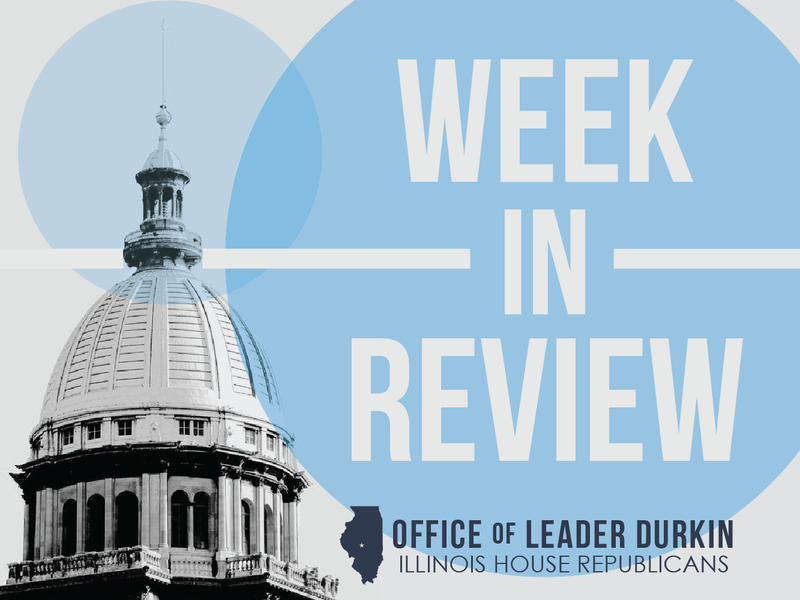 While the measure did not advance in the 2015 spring session, continued fiscal pressures on units of Illinois local government – particularly unfunded pension liabilities – have kept this issue on the table in the summer of 2015. On Tuesday, August 25, the House Personnel and Pensions Committee held a hearing on the issue in Springfield. The committee heard from advocates who called for consideration of this option as a way to grant relief to local property taxpayers. In some cases such as Detroit, owners of real estate in failing cities have been trapped in a death spiral of mushrooming fixed costs, property disinvestment, and soaring tax bills on depreciating real property. Chicago-area price spike may be receding. A sharp movement upward in the Chicago-area prices of most gasoline-based motor fuels may be stabilizing in the wake of an announcement by local refiner BP plc that they are taking steps to resume full operations in Whiting, Indiana. A balky distillation unit is being restarted, with output set to ramp up over time toward the resumption of full production by the key refinery. The Whiting plant is fitted to distill and refine the low-ozone “non-attainment gas” that, by federal law, must be sold throughout the ten-county Chicago-Northwest Indiana metropolitan area. BP released the news of progress at the Whiting plant on Tuesday, August 25. Any reduction in supplies of this specialty Chicago-area gasoline will swiftly cause increases in the prices of Chicago-area gasoline and gas-based motor fuels, including gasohol. The Whiting incident, first reported on Tuesday, August 18, led to sharp increases in pump prices throughout the Chicago area. Some pump prices in the city of Chicago were well above $4.00 per gallon. Chicago motor fuel prices include taxes charged by the State of Illinois, the Regional Transportation Authority (RTA), Cook County and the city. The Chicago-area nonattainment zone is mapped HERE. Gasoline and gasoline-based motor fuels sold within this ten-county area must conform to federal guidelines set by the U.S. Environmental Protection Agency (USEPA) for the reduction of ozone. Airport closes diagonal runway 14L-32R, one of O’Hare’s original runways. The runway had been slated for closure as part of the airport’s expansion program. Airport management and the Federal Aviation Administration (FAA) had cited the strip of concrete for intersecting other runways and leading to possible public-safety hazards. The Chicago Aviation Commission, operator of O’Hare, quietly closed the runway on the night of Wednesday, August 21. Traffic formerly active on this runway has been diverted to other airport runways. Advocates for keeping 14L-32R in operation had pointed to the potential offered by the veteran diagonal runway in sharing the noise of takeoffs and landings over a wider footprint of properties surrounding the busy international airport. O’Hare’s current plan to concentrate its operations on east-west runways will, by contrast, concentrate airport noise on owners and properties located east and west of the airport. Another diagonal runway, 14R-32L, is slated for closure in 2020. The de-certified runway has not yet been physically torn up or demolished. House Republican Representatives Michael McAuliffe & Christine Winger are co-sponsoring a bill, SB 637 that would forbid this runway from being demolished or rendered impossible for future use. SB 637 was approved by the state Senate in spring 2015 and is currently in the House on the order of Second Reading. New law directs task force to study, develop recommendations to regulate pilotless drones. Seen as high-tech toys only 1-2 years ago, the buzzing vehicles are increasingly ubiquitous across U.S. airspace. Often made up of four rigid, braced wings and held aloft with small electric motors, the radio-controlled vehicles typically carry cameras and can look into other peoples’ properties or even operate surveillance. SB 44 will require the appointment of a 22-member task force to study the future of unmanned aerial vehicle and systems throughout Illinois. Gov. Rauner signed the bill into law on Tuesday, August 18. Law enforcement executives are speaking out about potential dangers of unregulated drone conduct. Radio-controlled drones could be made to hover over sensitive points of public infrastructure, such as schools, high-tension power lines, or airports. At the same time, police groups are looking at unmanned aerial vehicles in states such as California to carry out law enforcement surveillance. Members of the Illinois drone task force will be appointed by Governor Rauner and must include experienced personnel from areas of law enforcement. The task force is directed to submit recommendations to the Illinois General Assembly by July 1, 2016. House Republican Representatives Adam Brown and Norine Hammond co-sponsored SB 44 in the Illinois House. State sells five surplus aircraft, reduces deficit. Governor Rauner announced the sale on Tuesday, August 25. The sale marked the successful conclusion of one of the Governor’s policy initiatives, which implemented his campaign promise to ground much of the State’s former “shuttle fleet” that used to carry public-sector executives back and forth between Chicago and Springfield. In April 2014, the former administration tried to sell nine of the State’s planes, but no legitimate buyers met the set minimum bids for three of the largest aircraft. The Rauner administration re-priced and successfully re-offered the planes for disposal. The series of sales netted $3.5 million for State taxpayers - $2.5 million for the planes and $1.0 million in unneeded, foregone maintenance and operations costs.